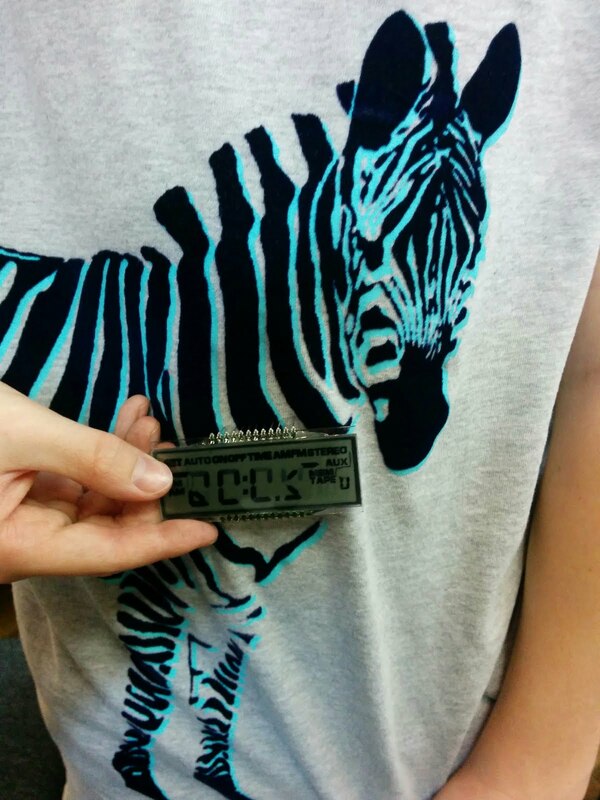 We had a few kids out to HeatSync soldering. One kid found an LCD screen in the tear apart bin. He discovered he could power it using static from the fuzzy zebra on his shirt. Not sure I'd we over powered any of the electronics, but he's going to try and make it work using an Arduino.